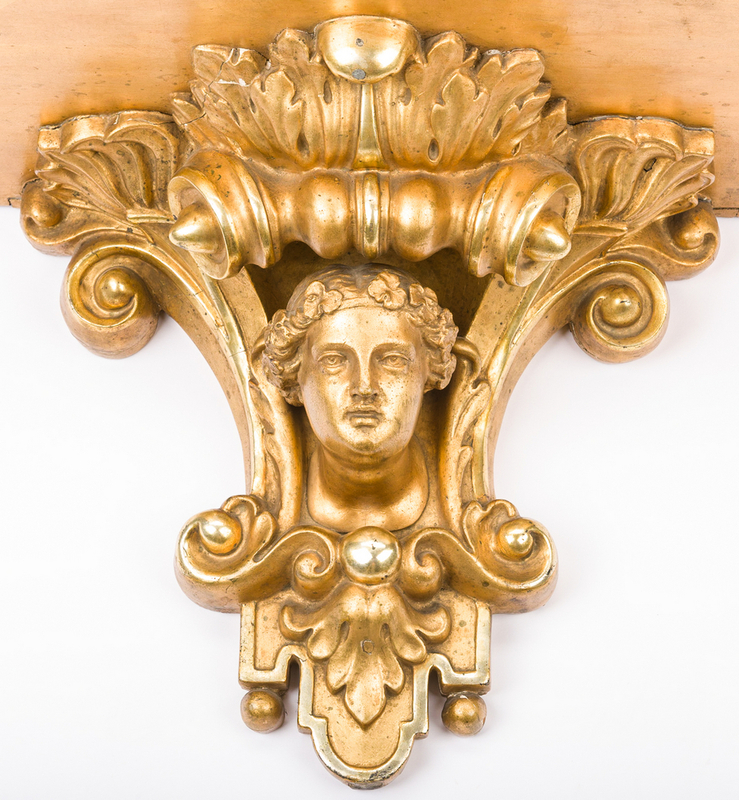 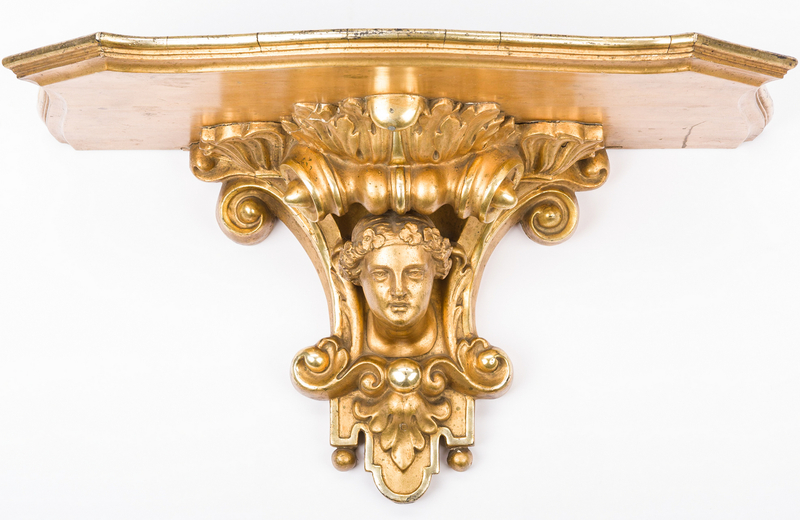 Large Continental carved gilt wood wall bracket in the Classical style with ancanthus leaf, shell and scroll supports and central Goddess bust and a shaped shelf. 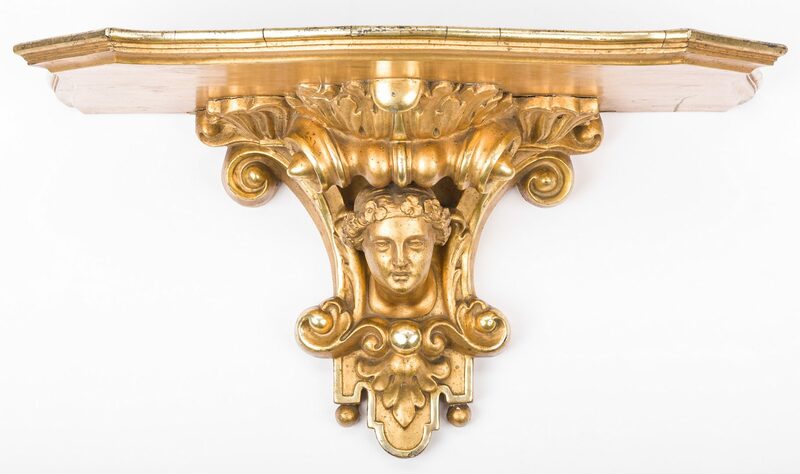 14" H x 23 1/8" W x 12 1/2" D. 19th century. Provenance: Private Knoxville, TN collection. 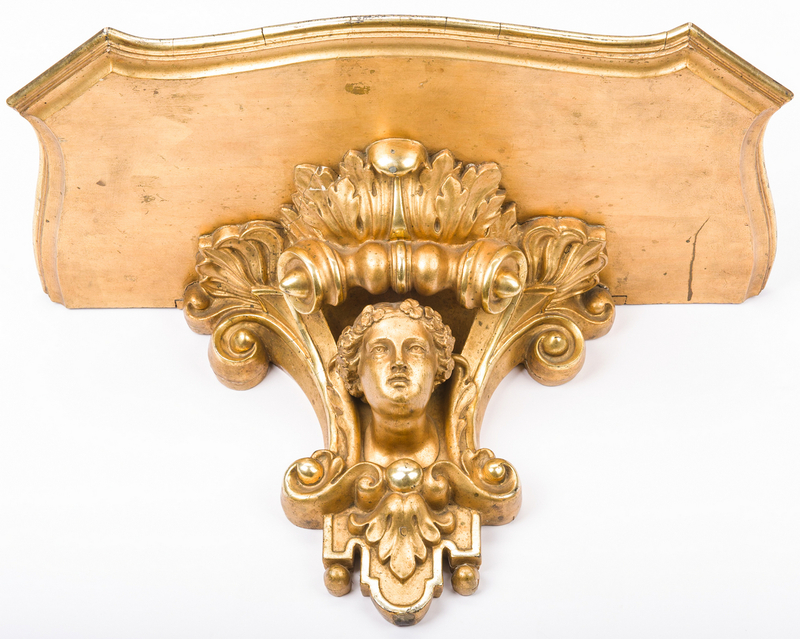 CONDITION: Possible old gilt repaint. 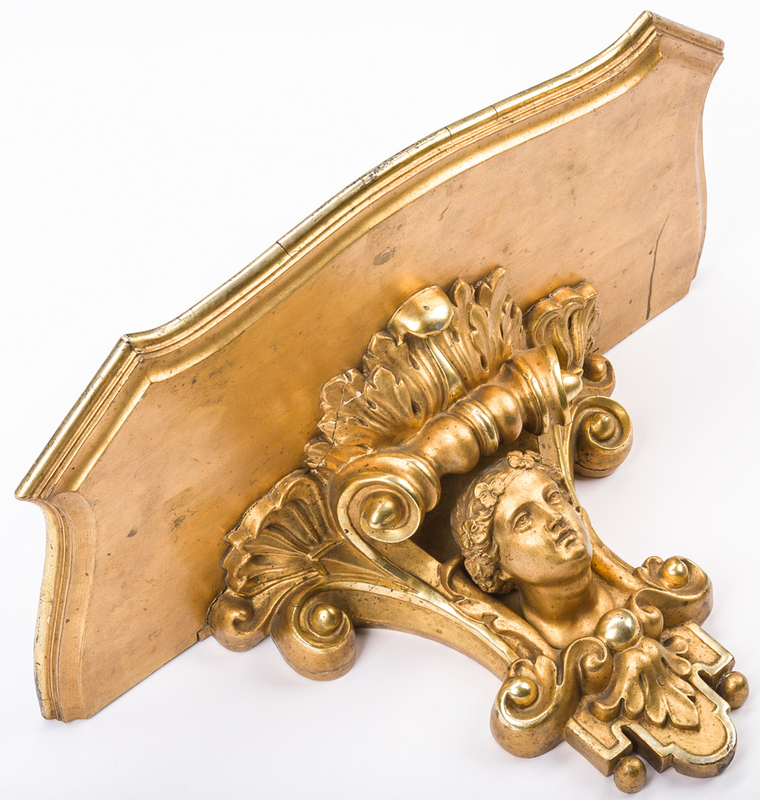 Repaired break to tips of acanthus leaves on left side.